"I don't know what to wear!" The words that come out of my mouth every morning as I stare into my wardrobe that is filled to the brim, yet I have absolutely nothing to wear. I pick out the same few pieces over and over and can't seem to do anything else. The transitional period between summer and autumn is the one I struggle the most with. There's one thing I've been loving, that has pretty much carried on from my summer style, and that's wearing dresses. 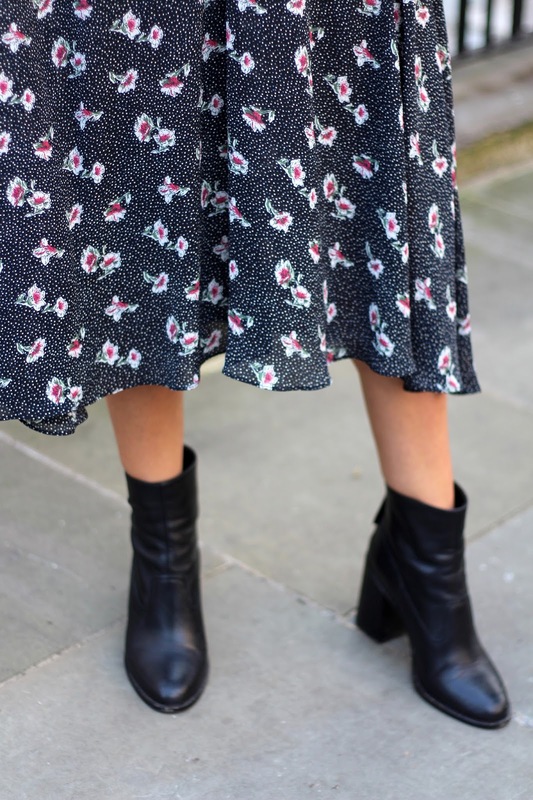 The dresses may have changed by getting longer, and I'm now pairing them with ankle boots rather than sandals, but I'm still loving them. 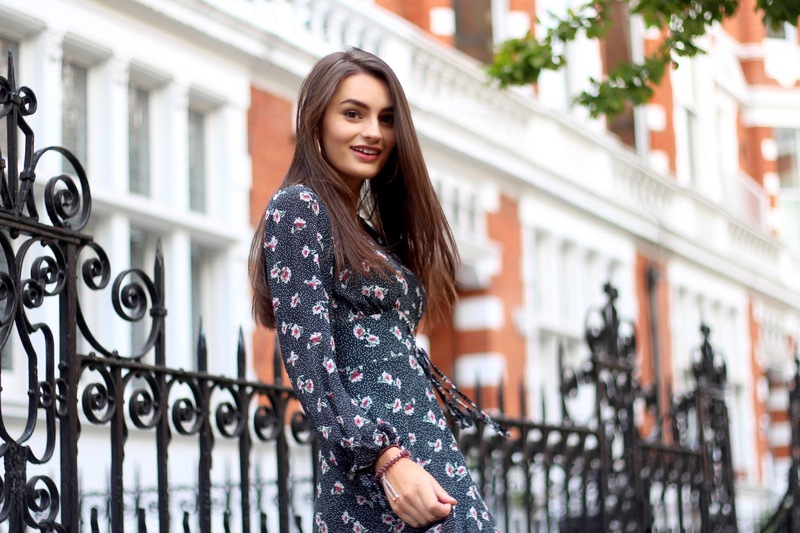 This midi dress from New Look has been a major favourite of mine, it's selling fast so if you want to snap it up then get to it! It's currently on sale too (aren't those the two words we love to hear: on sale). 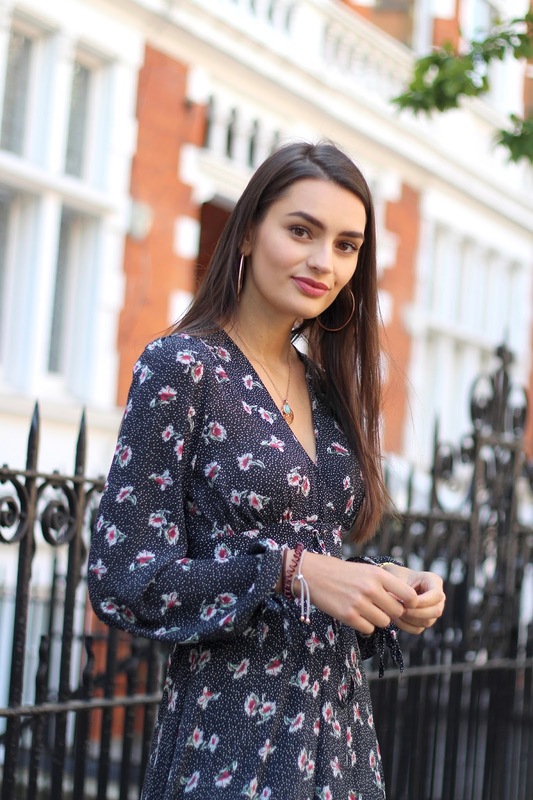 I've accessorised with a lot of arm candy (read: hairbands, invisibobbles and some bracelets) and the gorgeous necklaces I've been completely obsessed with this summer! I picked out a pair of black ankle boots to wear which are from New Look last year, these were such a good purchase. These boots have a great block heel and are real leather too so they look pretty great considering just how much I wore them last year. They're sadly not in stock anymore (so annoying, sorry!) but I've found some similar ones on ASOS (here, here, here and here). I tried my hardest to stay away from style rut territory but, it happened. The weather in the UK is a struggle for most but it becomes particularly difficult towards the end of summer when it starts getting chilly, but it's not quite cold enough to bring out the knitwear. 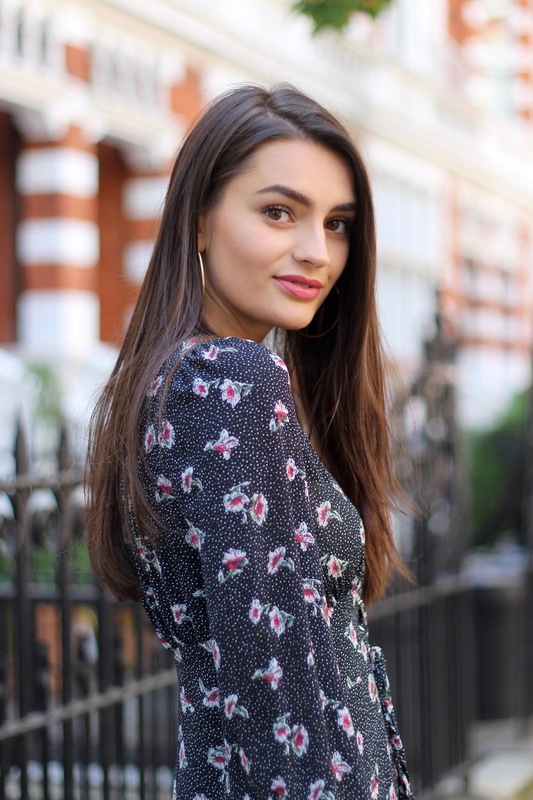 I've felt this way about my wardrobe and whilst I can't continue to wear most of my summer clothing, I'm still holding on to the thought of summer for that little bit longer and simply not quite ready to buy knitwear. That doesn't mean I haven't had my eye on some incredible knits already, I'm particularly loving the colour red right now. With that said, here's to another week of not knowing what to wear! Hopefully another week of still being able to get away with dresses and probably another week of lusting over knitwear. Autumn is my favourite season so it won't be long before I finally give in and start filling up my wardrobe with a glorious array of chunky knits! I can't wait to get rid of this style rut.